The UMC line from Remington, known for its performance and reliability at the range is one of the top choices of shooters everywhere. 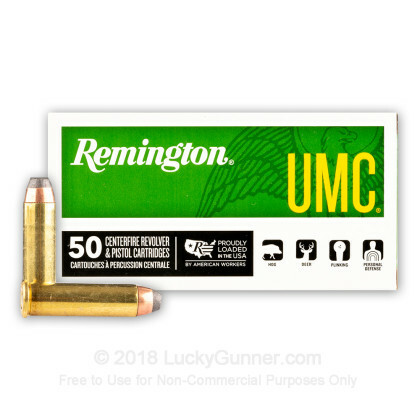 Each box of Remington UMC is made in the United States. 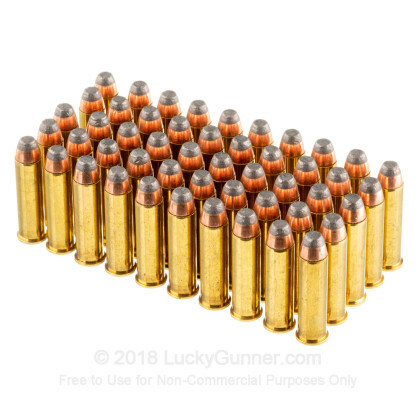 These .357 Magnum rounds are loaded with a 125-grain jacketed soft point projectile and are capable of a muzzle velocity of 1450 FPS. 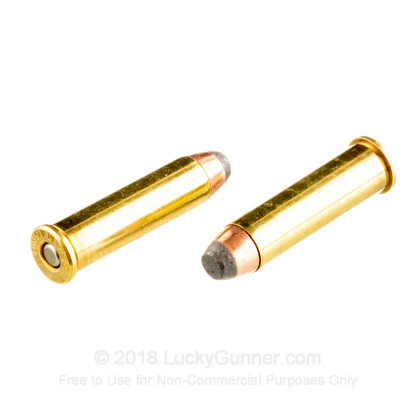 These rounds feature a Boxer-primed, noncorrosive reloadable brass case and are an ideal choice for hunting deer, elk, wild boar and other similar game with your favorite revolver or .357 chambered lever gun. The jacketed soft point projectile features an adequate amount of expansion after impact, making it a decent self-defense round as well. 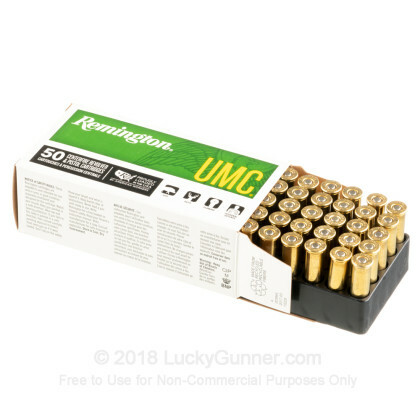 This 500-round case of Remington UMC .357 Magnum contains ten, 50-round boxes. As one of the nation’s oldest producers of firearms and ammunition, Remington continues to be a top choice of professional and commercial shooters alike. With their facility at “The Rock”, Remington strives for excellence and innovation—qualities that made them the legend they are today. We don't have any reviews yet for this particular .357 Magnum ammo from Remington. 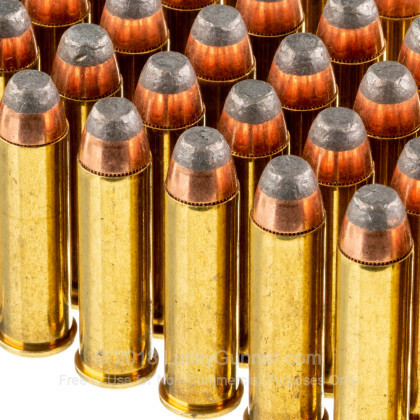 If you'd like to be the first to review this particular .357 Magnum ammo from Remington, fill out the form below. 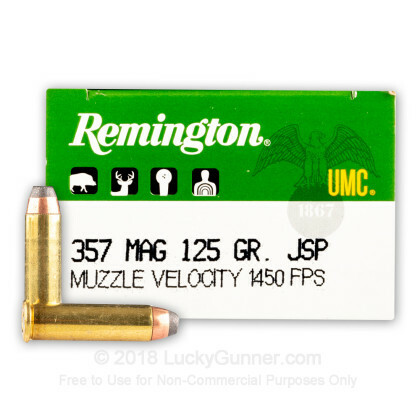 We also have this 357 Mag - 125 Grain JSP - Remington UMC - 50 Rounds ammo in stock in a smaller quantity.